Spring Bolt Action Airsoft Gun. Aluminum Alloy made Body, Outer Barrel & Flash Hider. Real Wood Stock, Cheek Piece & Handguard. Single shoot Bolt Action Spring Power System. WA2000 .308 Win Spring Action Sniper Rifle. 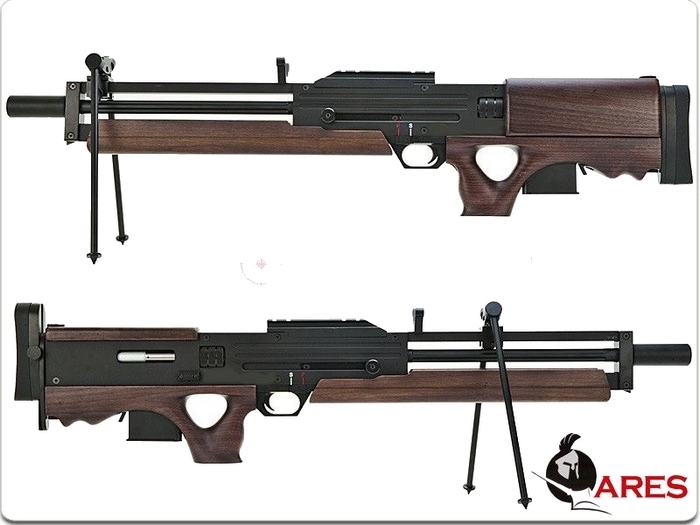 Reproduce the famous German Rifle in 1/1 scale airsoft replica. Beautiful Real Wood Stock, Grip & Handguard. Vsr10 Series parts such as cylinder, spring and barrel. Full Aluminum made Body & Barrel Assembly Construction. offering steady stand on the ground. Stock can be extended & moved up/down. Upgradeable Bolt Action Spring Power System. 18 years of production from the late 1970's to November 1988.
we had one available was over 10 years ago. CNC 6063 Aluminum Housing & Barrel. Walnut Wood Stock, Cheek Pad, Hand Guard & Grip. Fully Adjustable & Detachable Bipod. ARES All Climate TX System. Completo di replica caricatore vero con tre proiettili "dummy"